We are offering Electric Water Pump to our client. 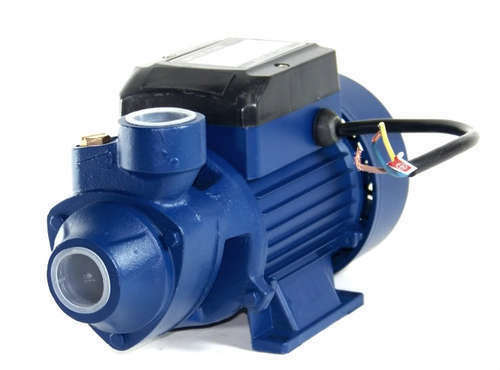 Since 1989, Tech-Mech Engineering Co. is manufacturing, wholesaling & trading a wide range of Pressure Booster Pumps, Submersible Pumps and Centrifugal Mono Pumps. These products are fabricated in compliance with the set industry norms to ensure their superior performance. Some of the products offered by us include Metal Halide Lamps & Fitting, Vertical Multistage Submersible, Centrifugal / Open well Submersible, Domestic & Industrial Centrifugal Mono Set, Self Priming Centrifugal Pump and Submersible Pump Set. Additionally, we also offer to our client's Rotary Gear Pump, Centrifugal Pump, Reflectors, Opal Electronic Ballasts, Energy Saving for Air conditioners/ Water Coolers/ Bottle Coolers and Power Backup Diesel Generator. We have strategically established our infrastructure in Mumbai, Maharashtra so as to offer dependable products and services to the clients. The facility integrability advanced machinery and equipment that facilitate us in molding the products based on the application specific requirements of the clients. We are a specialist in Power Backup, Hydro-Pneumatic Systems. Additionally, we have also supplied our infrastructure with sophisticated packaging machines and tools that allow us to ensure the safe delivery of the products at the clients’ premises.